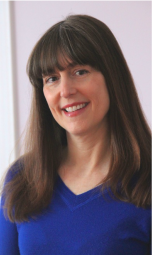 As a homeschool parent, veteran educator, college coach, and community leader, Evelyn brings a wealth of knowledge and experience to Massachusetts Homeschool Services. She is passionate about empowering parents to take charge of their child’s education and to explore non-traditional options. She is committed to advocating for students and helping them become successful learners. Using humor and warmth, Evelyn guides students in goal setting and self-motivation. She loves working with “out-of-the-box” kids. She enjoys helping guide high school students through the often perplexing path of college admissions. ​ specialties include: dyslexia and learning disabilities, literature, elementary math, study skills, and writing. Evelyn has worked in both private and public schools as a classroom teacher, writing instructor, and reading specialist. She is the recipient of an Innovative Teaching Award from Business Week for her curriculum design. Evelyn is a college board approved Advanced Placement homeschool teacher for U.S. History, World History, Art History, and English Literature & Composition. She holds degrees in education from New York University and Harvard University. In addition to educational consulting, Evelyn is the author of a YA novel and a book for English teachers. Her stories and essays have won many awards. She speaks at conferences and leads writing workshops for children and adults. As a member of the Society of Children’s Book Writers and Illustrators, Evelyn is enthusiastic about sharing her knowledge of the writing process and road to publication.